DLN8GBX- 8 fully programmable DMX ports and a dual Gigabit port switch with user interface. 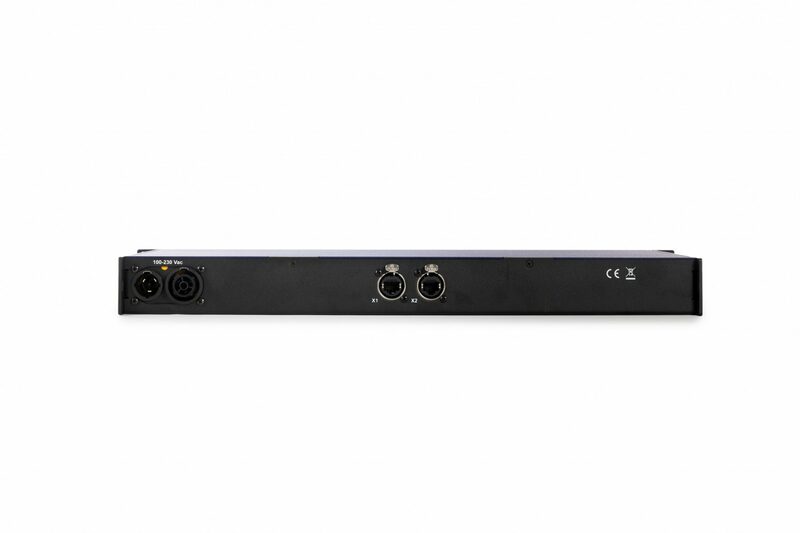 DLN8GBXSL – 8 fully programmable DMX ports and a dual Gigabit port switch for slave operation to dmXLAN switch GBx. Both nodes offers data splitting, merging, softpatching and backup when programmed using ELC’s dmXLAN software. 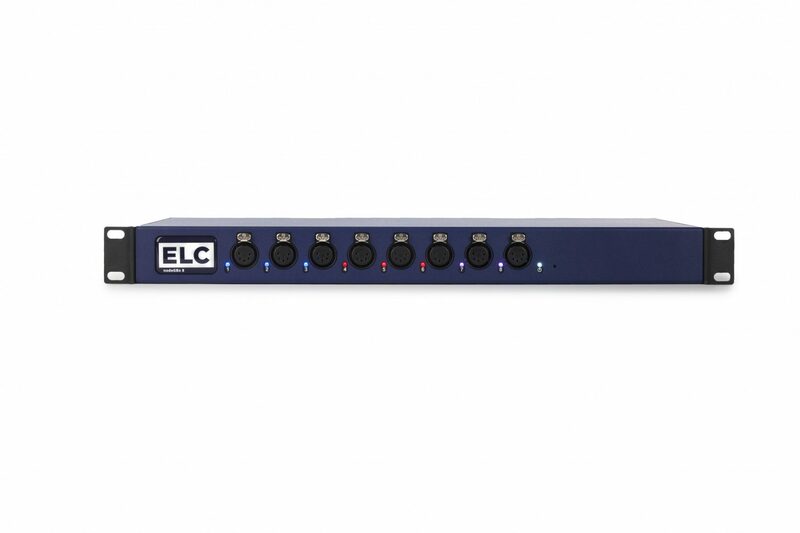 All DMX ports are fully-isolated. Every DMX port has a RGB LED indicator which can be programmed via the dmXLAN software. The output of the DMX ports is measured continuously and detected changes and errors are appearing on the node’s display and in dmXLAN. The DLN8GBXSL can only be used as a slave to the dmXLAN switch GBx 10 or dmXLAN switchGBx 18. 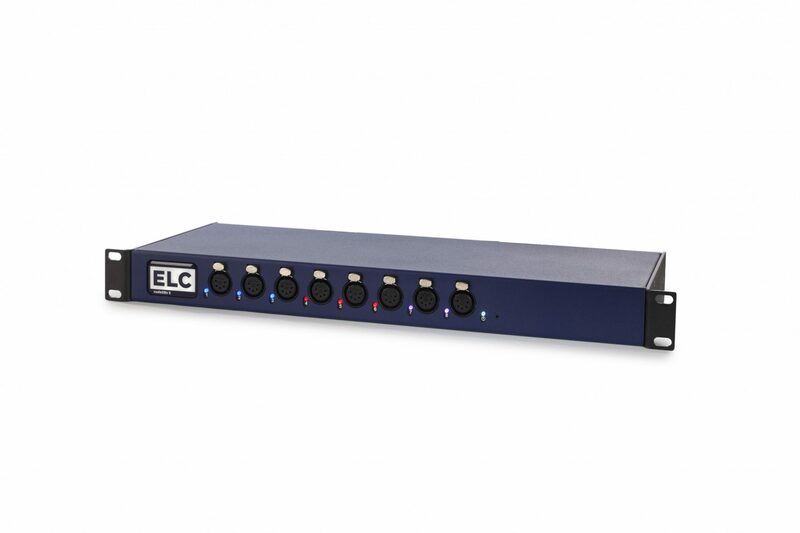 The DMX ports can be configured via the user interface of the switch or with the dmXLAN software. 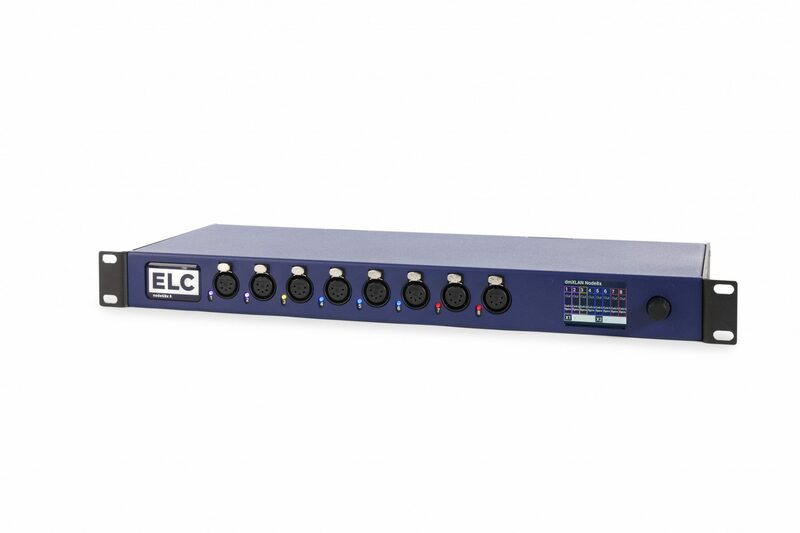 Up to 15 of these slave units can be connected to the switch, giving you a system rack with 120 fully programmable DMX/RDM ports. DLN8GBX- Stand-Alone with user interface. DLN8GBXSL – Slave operation to dmXLAN switch GBx.